SBI PO 2018 Application Form has been released. The candidates who are interested in the post of Probationary Officer can apply now. The application forms are available online on the bank’s official website bank.sbi/careers or www.sbi.co.in/careers. There is no other way to fill the form other than the online mode. There are total 5 main steps to fill the SBI PO 2018 Application Form. These steps are Registration of the candidate, Upload the Photograph and the Signature, Fill the other personal and qualification details, Preview of the filled application form, and at last the payment of the application fee. If the online transaction of the application fee has not been successfully done then the candidates are advised to re-register with the details and make the online payment again. If the fee could not be paid within the specified date and time then the application will not be accepted. For more details regarding SBI PO 2018 Application Form such as Process to Apply, Application Fee. Mode of payment etc, you can check this entire page. Latest: SBI PO 2018 Application Form is available now. 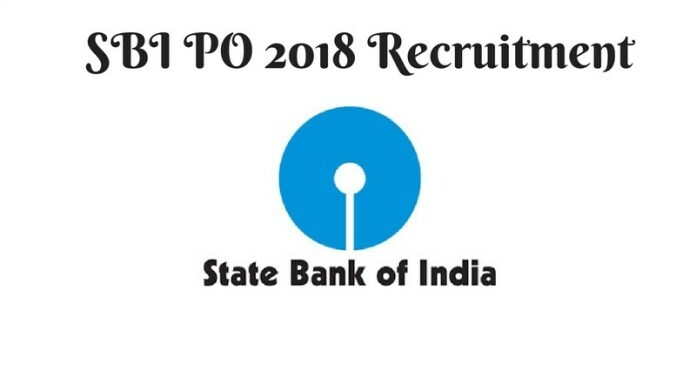 Apply Now: Click Here to Apply for SBI PO 2018. How to fill SBI PO 2018 Application Form? Visit Official Website: As the first step, the candidates will have to go to the official website. They can do so by clicking on the link given on this page. After reaching the application page, if you are a new user then click the button for the “New Registration” Otherwise, you can directly login using your Registration Number and the Password. Then you will get the page full of instructions. Read those instructions carefully and click the “Continue” button for the Registration. After filling all teh details, click on the “Save and Next” button. Once you will click the button, a pop-up will appear to you.If your all details are correct then click “OK” otherwise edit the details and proceed. Step-2 (Upload Images): After the above procedure, you will get the window in which you will have to upload your Photo and the signature in the specified format and size. Whether you are having the Domicile of Jammu & Kashmir? If you have appeared for the PO Recruitment before? Do you have a record of default in repayment? Do you have an adverse report regarding your character? Are you an Employee of SBI on clerical stage? Are you an ex-employee of SBI? Once you will fill the details, click on the “Save & Next” button. Now hit the “Save & Next” button. Step-4 (Preview): Now you will get the preview of your application form. Check all the details and if the information is correct then tick “I Agree” and click “Final Submit” button. Step-5 (Payment of the Application Fee): At the end, you will have to make the payment as specified above and your application process is complete.